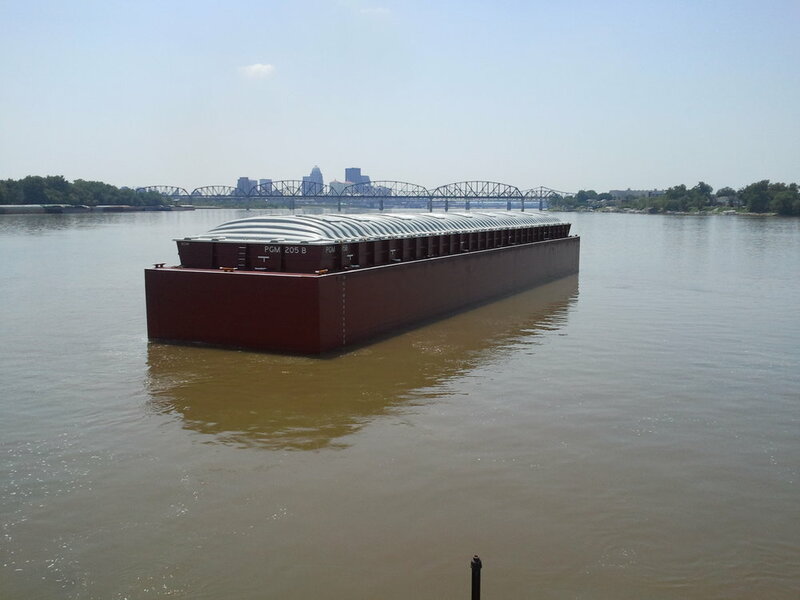 Hopper Barges — J Russell Flowers Inc.
J. Russell Flowers, Inc. hopper barges are packed with features and benefits that other barges do not offer. Most of our barges are built with heavy 5/8" inner-bottoms, heavy lower hopper side plating, bilge knuckles, and double continuous rub bars. All corner and wear plates are 3/4" plate. Rake knuckles are usually 1/2" plate. 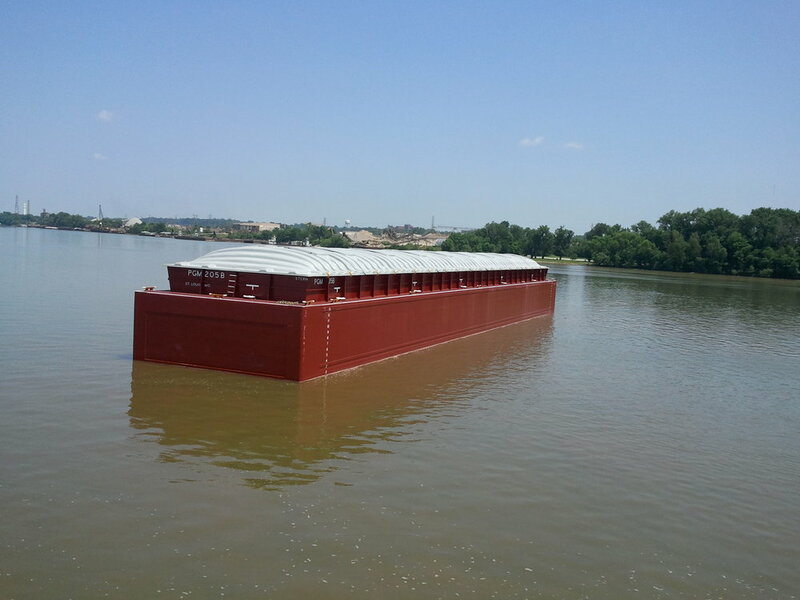 We fully paint the exterior of our barges including the bottom with quality epoxy coatings. The lower portion of our hopper barge interiors receive a heavy but flexible coating.